The 30 cm. horizontal Stainless Spot-on Sundial is suitable for medium-sized gardens or small pubic spaces. It makes an eye-catching feature in its chosen space, and its robust construction in 10 mm. stainless steel ensures that it will stay as good as new for many years. 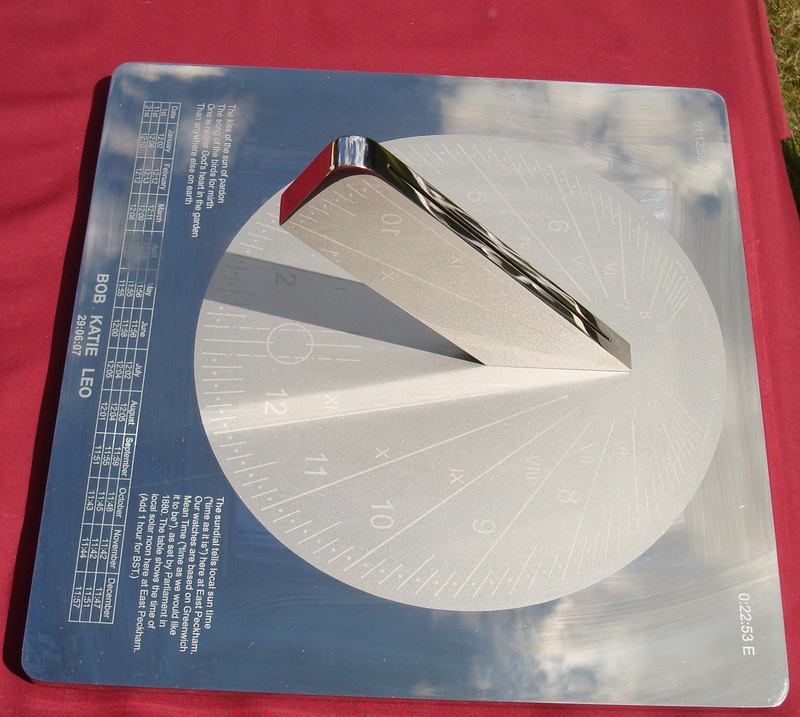 Order 30cm stainless steel Spot-On sundial and pay 50% deposit. Each sundial is made specifically for the latitude of its intended location, thus ensuring the highest possible accuracy. Delivery is normally 6 to 9 weeks, though urgent orders can often be processed more quickly. We ask for a 50% deposit before starting manufacture, and need the engraving instructions within the following 3 weeks. �860 (approx 940 Euros, $1,120 US dollars depending on exchange rates current in early September 2017) UK courier delivery is £20; rates for other destinations can be supplied on request. Payment can be made by Intenet transfer or by debit or credit cars through Paypal.